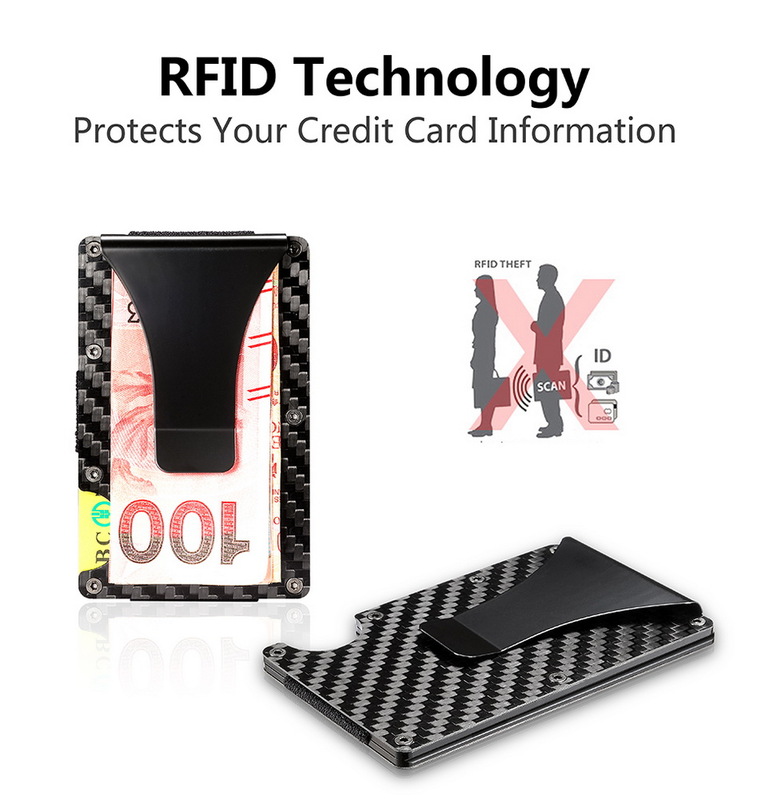 Modern thieves are using RFID readers to steal your personal information on your credit, debit and ID cards. 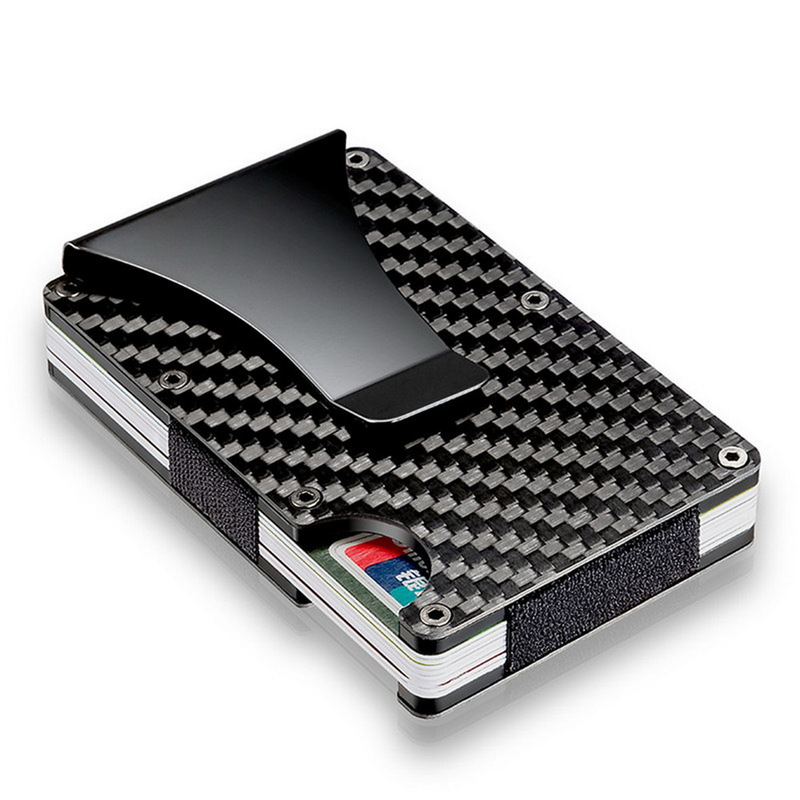 This stylish carbon fiber wallet holder has been engineered to protect your cards from these RFID readers, to keep your data and money safe. Radio-Frequency Identification (RFID) is the use of radio waves to read and capture information stored on a tag attached to an object. A tag can be read from up to several metres away and does not need to be within direct line-of-sight of the reader to be tracked. Slim and modern design. 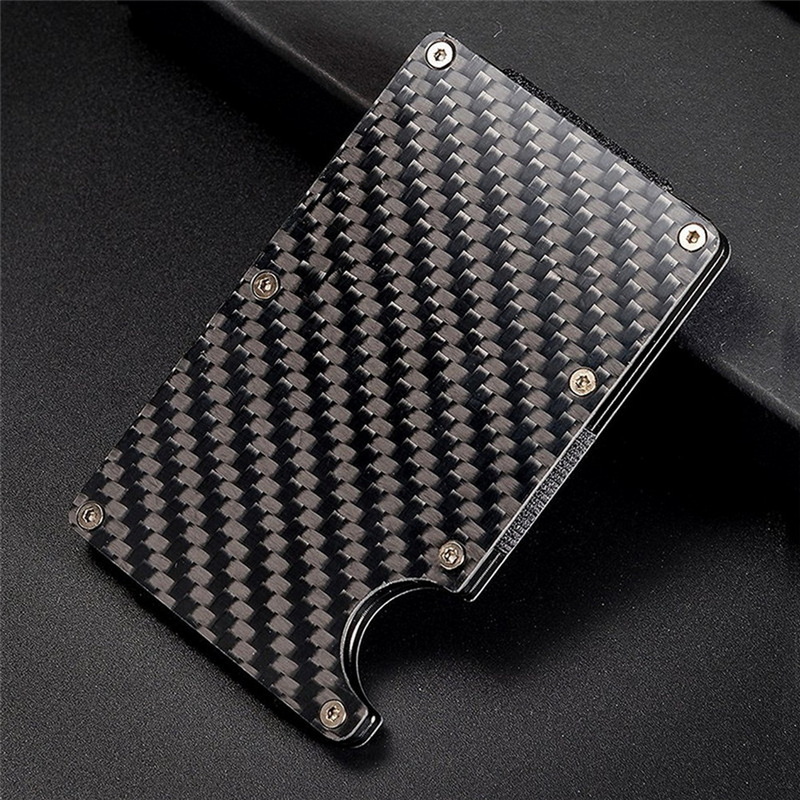 ditch the primitive traditional bloated wallet, switch to a lightweight, slim carbon fiber model. 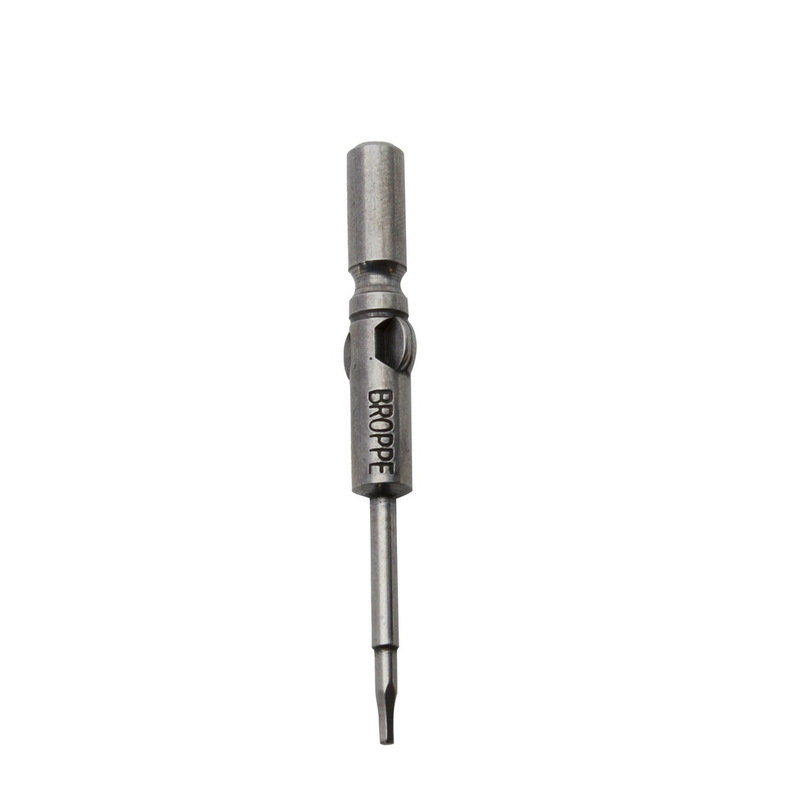 Made of high quality 18/8 stainless steel, polished, scratch-resistant and wear-resistant, not easily deformed. 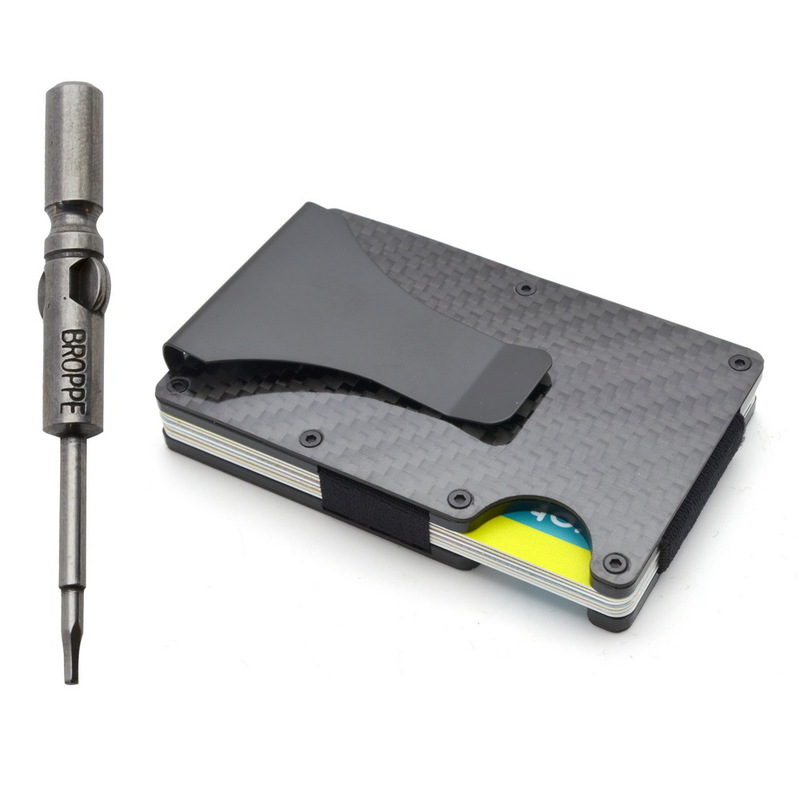 Multifunctional-metal card wallet,with anti-theft function. 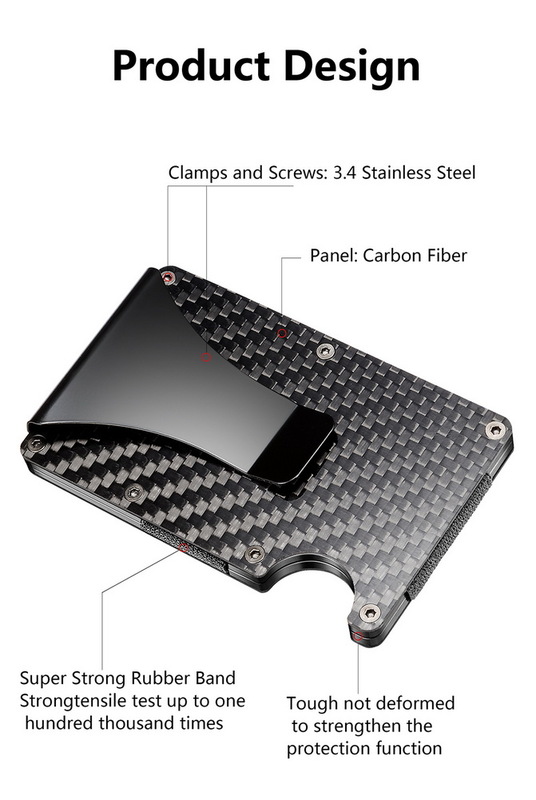 This carbon metal wallet keeps your data safe, with RFID blocking functionality. What is RFID and what does it mean? 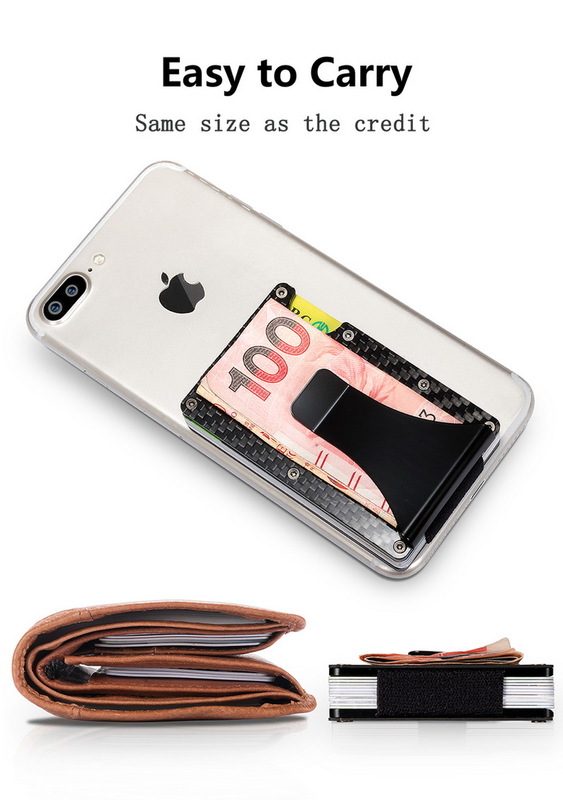 RFID stands for Radio Frequency Identification, and it's a technology that makes your card capable of contactless payment while adding an extra layer of security. The chip stores information about the card that's needed for a transaction, and can have everything from the card number, expiration date, and even your name attached to it. How can I tell if my cards have RFID? All RFID-enabled cards have a symbol on them that looks like the wifi symbol, but sideways. If you've received a new debit or credit card recently, you may have noticed a small, rectangular chip embedded right in the front of the card. This larger, more prominent chip is called an EMV (Europay Visa Mastercard) and adds yet another layer of security to your card. 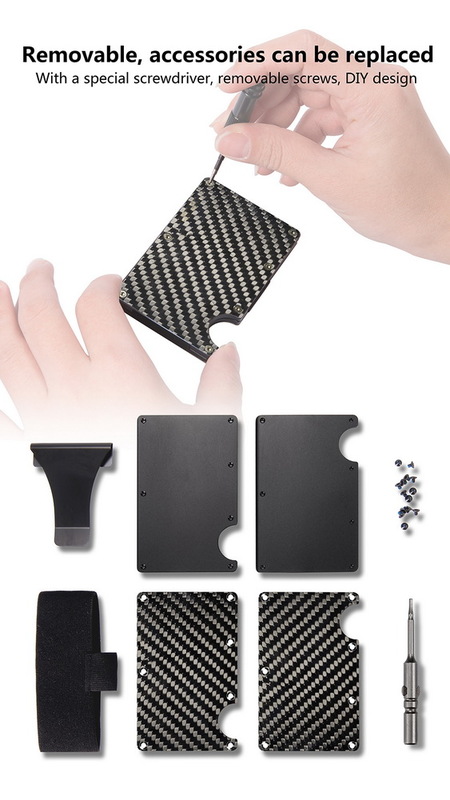 Remember: just because you see a chip on the front of your card, doesn't mean that you have RFID, and vice versa. 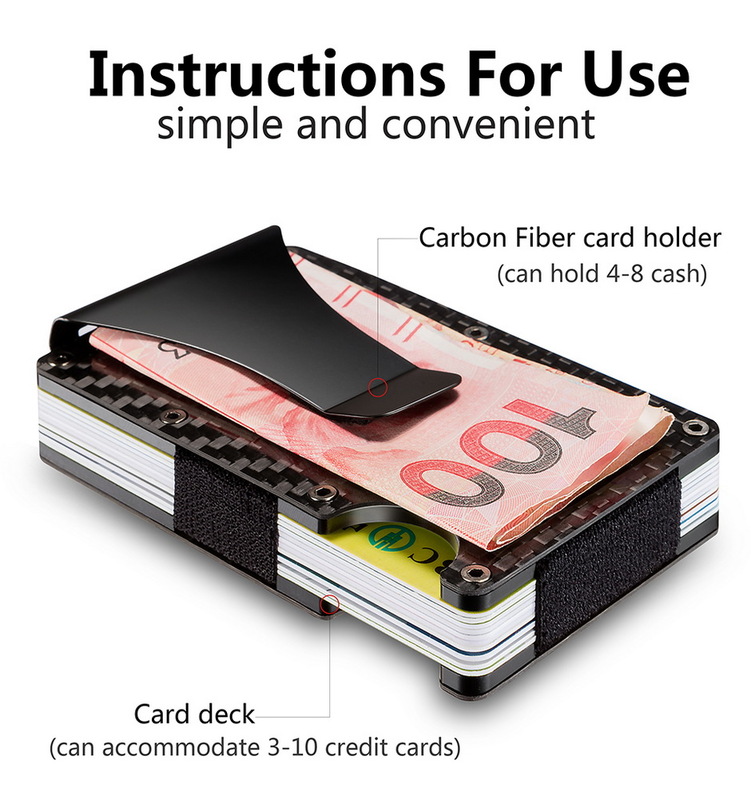 Why carry an RFID-blocking wallet? 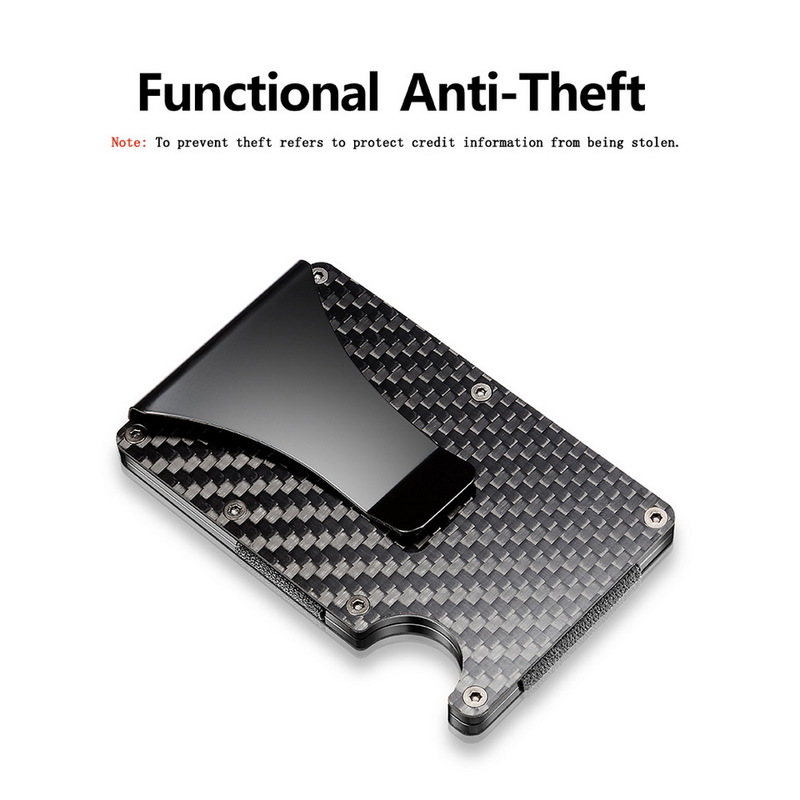 An RFID-blocking wallet is the simplest way of protecting your cards from this type of theft. 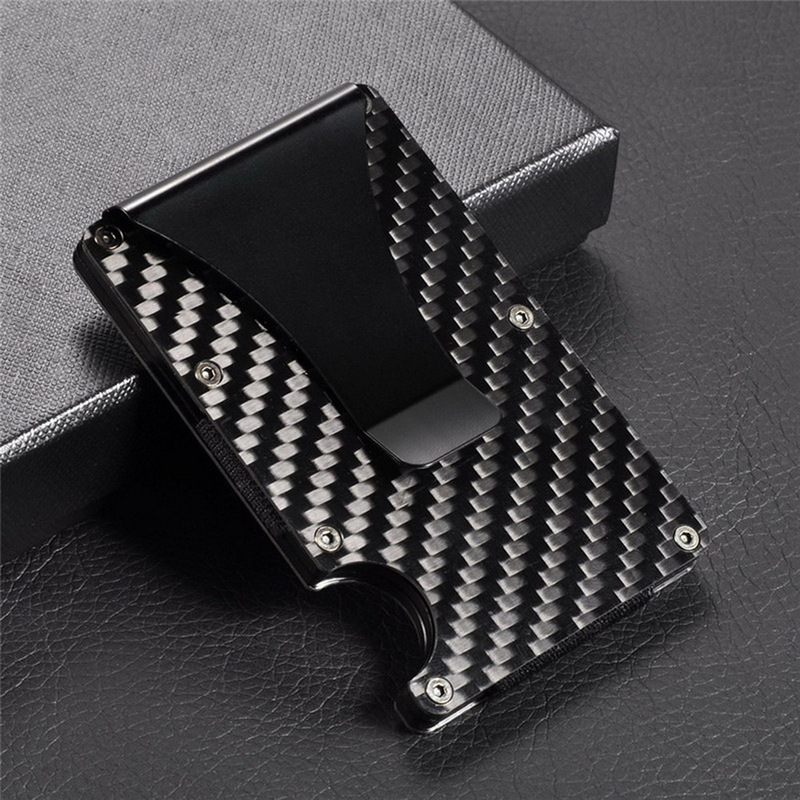 The downside to an RFID chip is the ability to read the card from afar, especially given how much personal info can be read from a single chip. Yes, it will save you time at the checkout, but thieves have found away to read the card information with a device known as a skimmer. Thieves then take this information and either use it for online purchases or to make fake cards with.